London Taxi Advertising can give your brand a presence on the streets of the largest city in South West England. 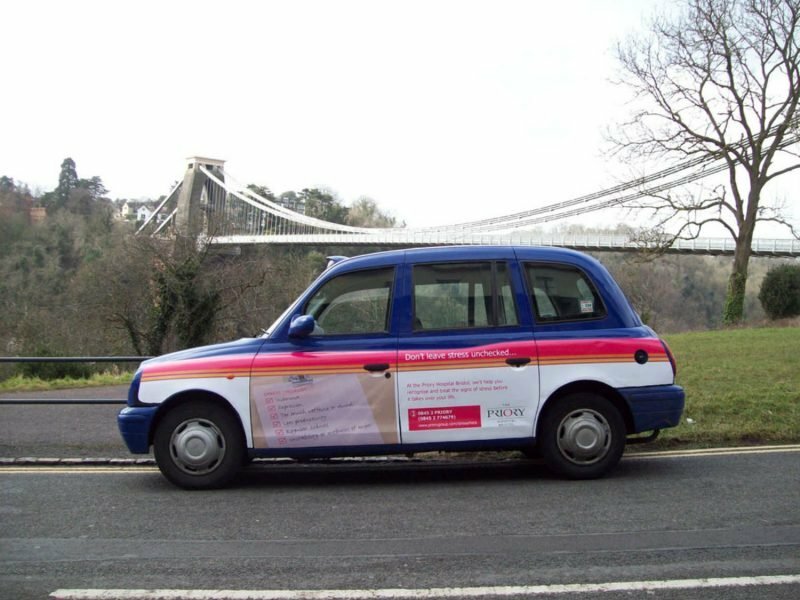 The sixth largest city in England, advertising on Bristol cabs is the perfect way to turn heads and reach your ideal audience in this famous city. Bristol is well connected by road, rail, sea and air, with accessibly links to both Cardiff and London. This makes it an invaluable location if you’re looking to target business people and professionals with your taxi cab campaign. Voted the best place to live in the UK by The Sunday Times in 2014, and the 2015 Green Capital of Europe, Bristol has gained an international reputation as a leading sustainable city which has a lot to offer. If you’re looking to reach a younger audience, look no further than Bristol. 35,000 university students live in the city, while one in six Bristol residents are under 16. If you’re looking to reach the decision makers of tomorrow, then advertising on Bristol taxis could be the platform for you. Bristol is a prosperous city, built on high-tech industry, business, creative services and finance. 59,000 finance professionals work in the city, making taxi advertising a great way to reach this highly-influential audience of those with purchasing power.